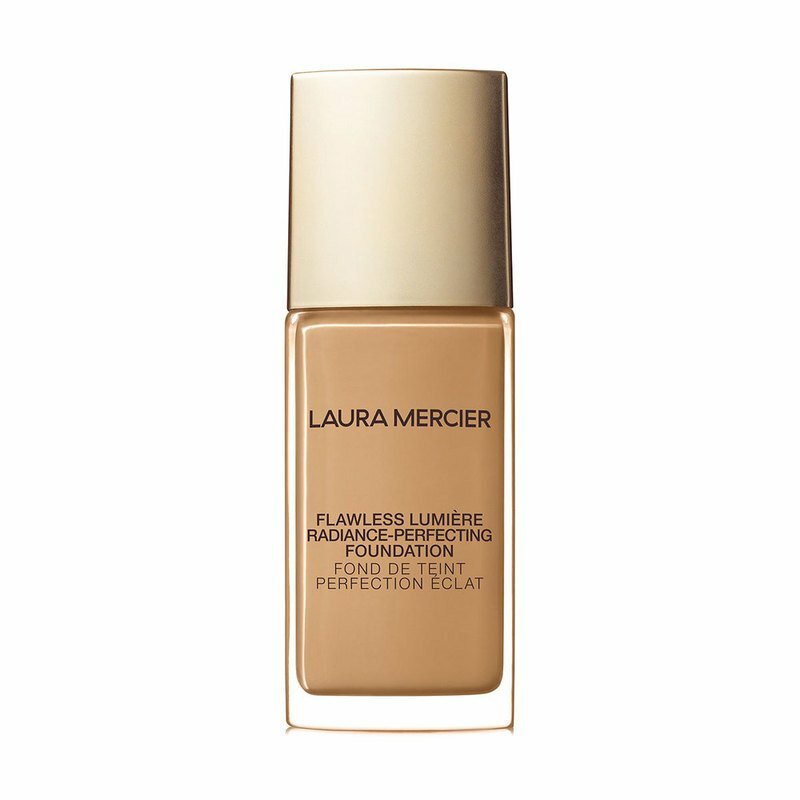 Flawless Lumière Radiance-Perfecting Foundation delivers a perfectly glowing finish that looks luminous in any light. Vitamin C boosts skin’s luminosity, revealing brighter, clearer and more even toned skin over time - so even without makeup, your skin is naturally luminous. Skin appears more even and the apperance of dark spots are reduced after 4 weeks of use. Provides 15 hours of moisturization to visibly smooth and soften skin. Powered by Silver Ear Mushroom Extract to hydrate and smooth skin instantly, for maximum skin comfort. Replenishes skin while softening the look of fine lines and wrinkles. The weightless medium to full coverage formula looks and feels like a second skin. Flexible polymers melt into skin to create a longwearing comfortable second skin and color-true pigments resist oxidation. How to Use: Apply to clean skin with the Flawless Finish Makeup Sponge, sold separately. For best results, apply over your preferred Laura Mercier Primer. For the most flawless, natural look, Laura says it's key to avoid over-applying foundation to the middle of the face—where too much formula can accentuate lines and other imperfections. With liquid, crème, or powder, she recommends starting at the outer portion of the face and working inward towards the nose. Focus on one area at a time and be sure to blend well. Avoid excess application around eyes or the contours of the face. Repeat application until desired coverage is achieved.